This year I have been taking an online art course called MATS Bootcamp. Here are a couple of examples from the course. 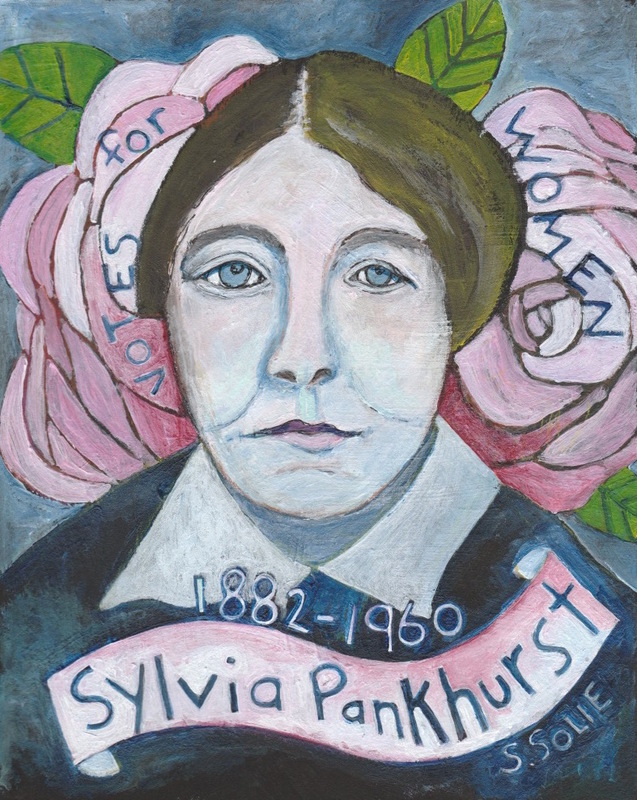 Suffragette, Sylvia Pankhurst. 8×10 mixed media on paper. 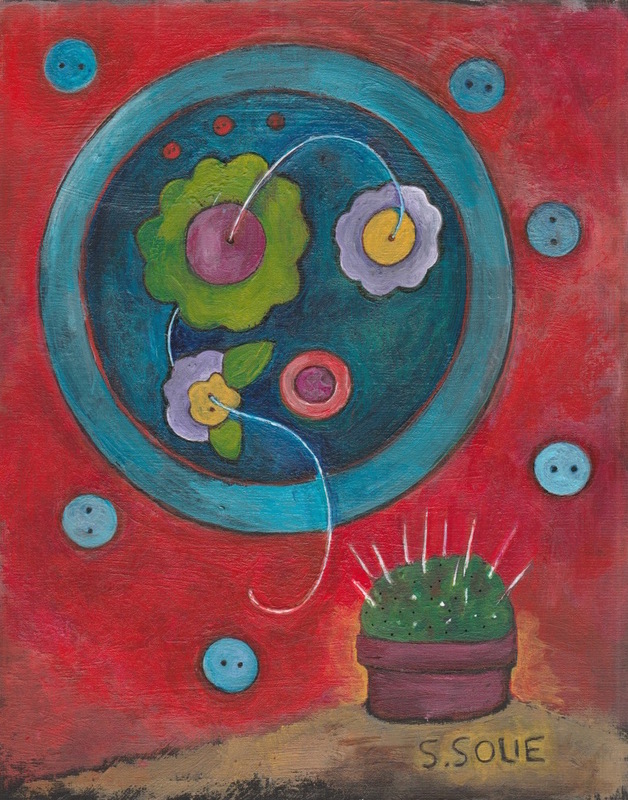 Sewing Tray, 8×10 mixed media on paper. Currently my main focus is on cat art. After adopting handsome Socks below in June I have been inspired by these mysterious creatures. This is just one of the cats in the ongoing Adopt a Cat series. Reproductions on him may be viewed on Redbubble. Click on his image to view more art. 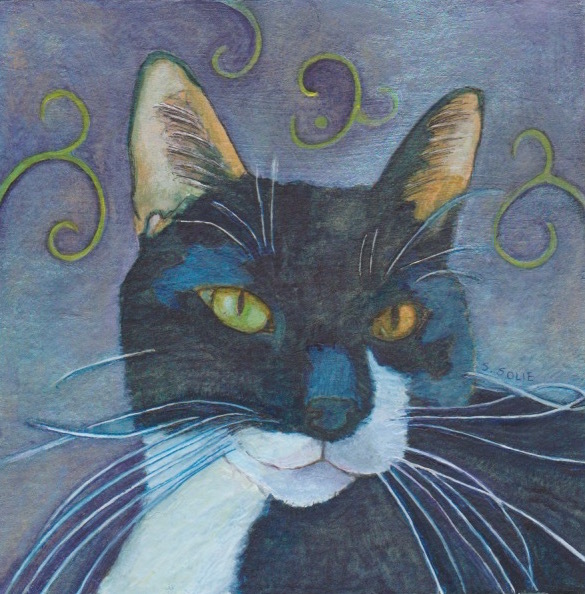 Portrait of Socks, Adopt a Cat series. 6×6 on paper. Some of my Spring Collection is on Etsy. I will be adding more through the end of June. Below is Paco part of the ongoing Adopt a Dog Series. He is available through Full Circle Pet Rescue in Madison WI. SOLD! 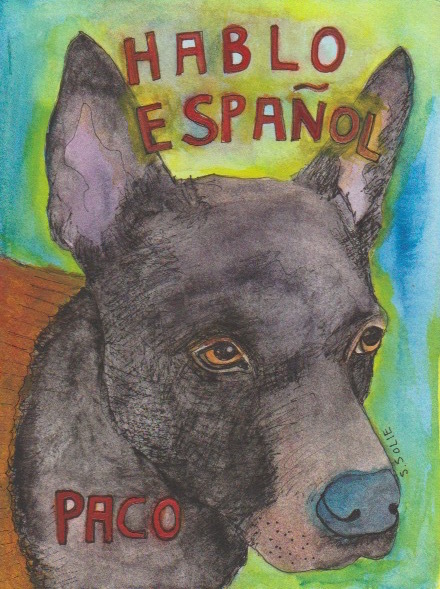 Adopt a Dog Series, Paco, Hablo Espanol, 6×8 on paper. Available through Full Circle Rescue in Madison WI. Today I started editing the website. I am sending older work to my Flickr page to make room for newer works. Soon I will be re-opening the Etsy store with new 2017 originals and reproductions. Below is one of many new pieces that will be for sale soon. 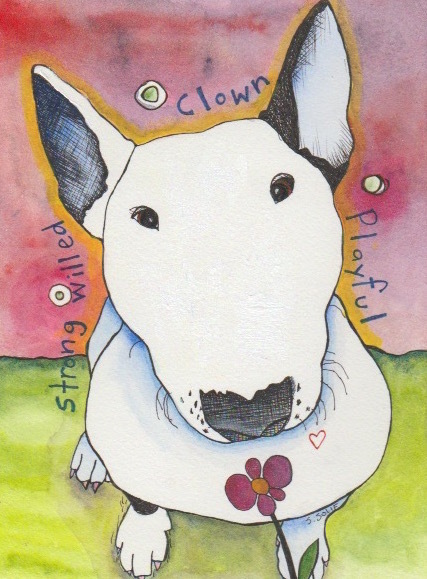 This Clown, AKA Bull Terrier, is with my new series Alphabet Dogs. Clown 6×8 Bull Terrier on Paper. 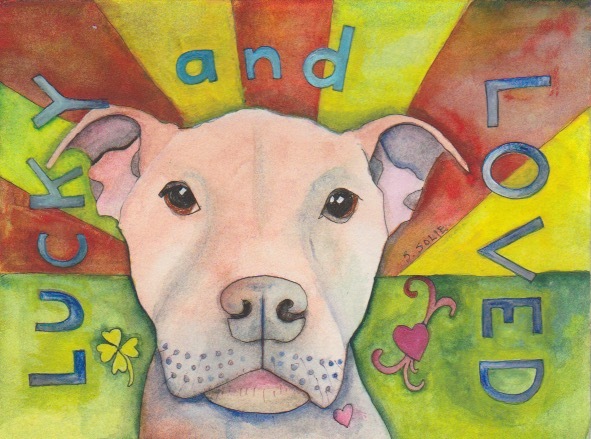 Lucky and Loved is a tale of Bruno. This inspiring dog survived horrible neglect and is currently in the care of Castaway Pet Rescue in Illinois. Artwork for Bruno can be found here. A percentage of the proceeds will be donated for his care. To learn more about Bruno visit his Facebook page Bruno’s Army. Updates on this website are long overdue. This year I will be deleting older works and adding newer artwork. A few other changes may be added. Stay tuned for updates.